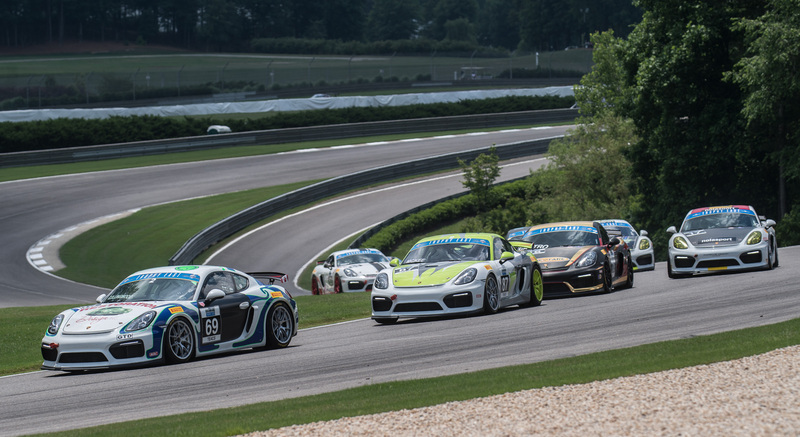 DANVILLE, Va. (June 18, 2018) – More than 20 PCA Club Racing Trophy East series competitors are ready to take on their third event of the season June 22-24 at VIRginia International Raceway (VIR). The event, which is part of the PCA Rumble at the Oak Tree, marks the halfway point of the 2018 season for Trophy East series competitors. The 3.27-mile, 17-turn track is located just north of the Virginia and North Carolina state line in Danville, Va. Following the series’ first two events, Curt Swearingin, representing the Tennessee PCA Region, is first in points in the TE6 class with 77 points. His teammate and series newcomer, Richard Edge, is second in class with 53 points, with Jack McCarthy sitting in third with 36 points. After the series second event at Barber Motorsports Park in May, Efrin Castro is now leading the TE4CS class with 75 points over NOLAsport’s Alejandro Galindo. BGB Motorsports’ Tom Collingwood sits in third place in the TE4CS class with 46 points. Collingwood gained his first win in the series at Barber Motorsports Park. NOLAsport’s John Crosby continues to lead the TE4CS Masters class with 72 points while Gary Jensen continues to lead the TE6 Masters class with 47 points. Richard McIntosh, with TOPP Racing, joined the series last year in the GT4CS Masters class, but this year – he’s racing a new GT3 Cup Car and chosen not to compete as a Masters driver. The gates will open for team load-in on Thursday, June 21 at 6 p.m. There will be three practice sessions on Friday, June 22. The two 30-minute sprint races will be on Saturday with an 80-minute endurance race wrapping up the weekend on Sunday, June 24.